I'll just say it: Braveheart might be the one good Mel GIbson gave this world. For many Americans, the 1995 epic film -- which opens with gorgeous, sweeping cinematography of the Scottish Highlands laid over a simple score -- was our first glimpse of what Scotland's mountainous majesty looked like. 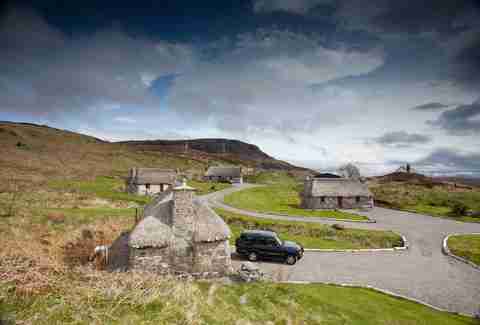 Now there's one new real estate opportunity that can help you "live the Highland dream" yourself: a sale on Mary’s Cottages, a quaint arrangement of thatched cottages plus a large 5-bedroom house, nestled in a village on the picturesque Isle of Skye, off Scotland's northwest coast. 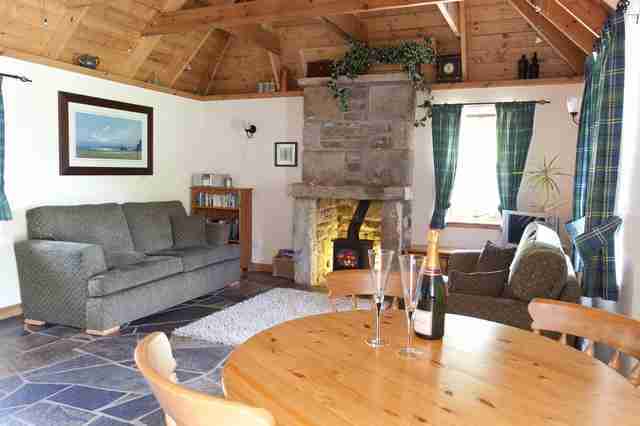 Per the realtor's listing: "Located in the village of Elgol the property is ideally situated to capitalise on everything the Isle of Skye has to offer, with daily boat trips available from the harbour into the heart of the iconic Cuillin Mountains." Each of the four cottages included in the package deal has vaulted ceilings, period king-sized beds, under floor heating, double glazing windows, and oil fired stoves. The owners are taking offers over £1.2 million (~$1.52 million), with the intention of selling it to an eagle-eyed entrepreneur or family looking to seize it as a "business opportunity" -- i.e. 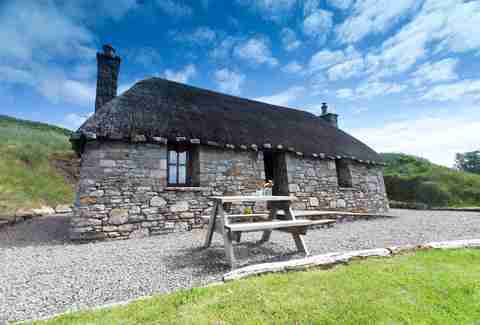 renting these remote domiciles out to guests looking to get away from it all and appreciate how beautiful Scotland can be and how fun its landscape is to ramble over. Suffice it to say that if you're trying to escape the big-city hustle and escape to the countryside, this dream is yours for the taking. All you need is a little bit of of money. OK, fine, a lot of money, but just look at the photos (shown below) and imagine what it'd be like to smell the morning dew or walk barefoot in the grass or do literally anything you want here, compared to whatever figurative or literal steel cage you live in now.